Such a wonderful day filled with blue skies, clouds and a gentle breeze. Ok, maybe not clouds right now, but just imagine. 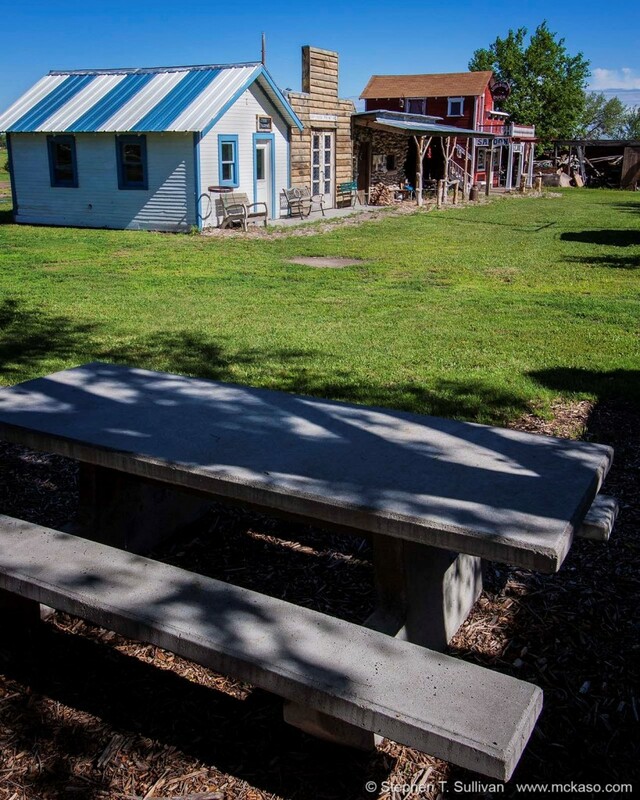 Whether you are at work and your thinking of a quite spot to eat lunch or wanting to pack a picnic lunch on the weekend head up to this nice little corner at Dobby’s Frontier Town. The perfect little corner to kick back and relax for a bit.